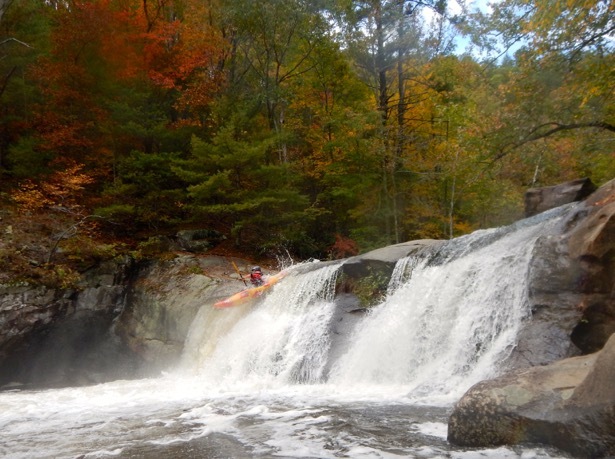 Tellico River – multi lap creek run! 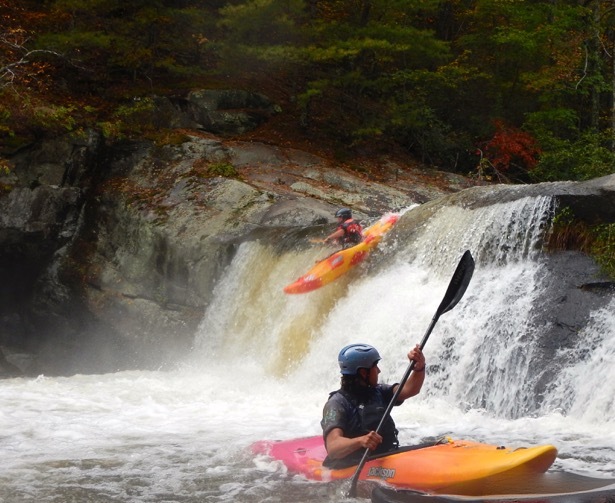 The Tellico River is in Eastern Tennessee, just west of the North Carolina / Tennessee border. It is a class III/IV 2 mile run that people often run multiple laps on. The road runs beside the river so shuttles are super easy. 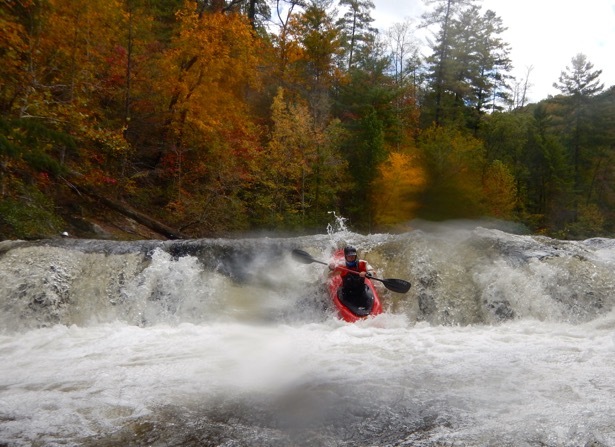 It is described as a fabulous intro to technical creeking for boaters in the south east. 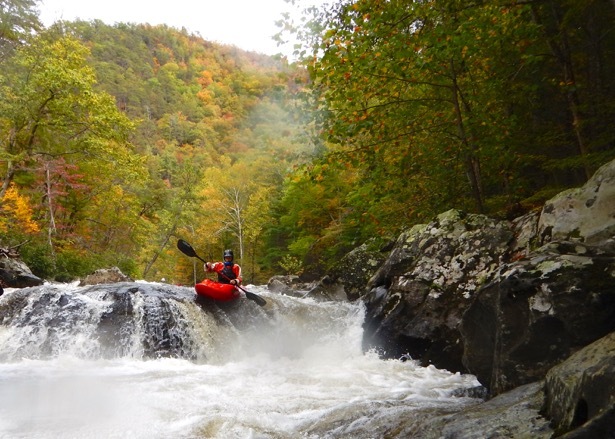 It is a rain fed creek that can come up pretty quickly but also drop equally quickly. 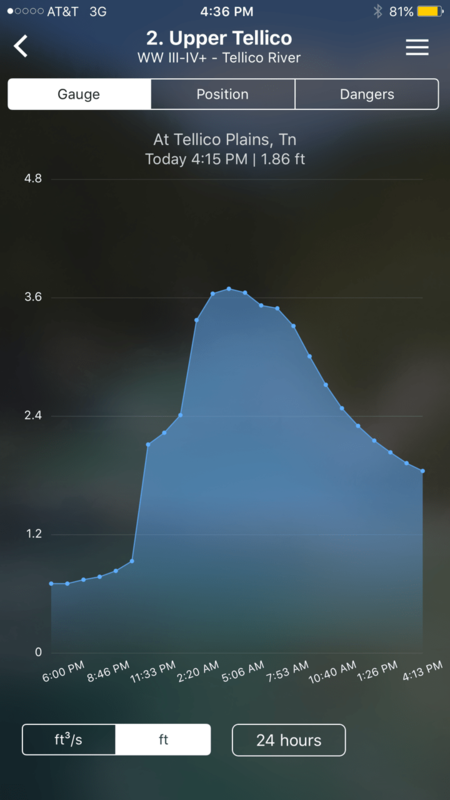 Thanks to Hurricane Nate we had a decent dump of rain and everyone was glued to their devices watching the gauges to see if enough water was going to fall. The gauge is downstream of the actual run so you have to incorporate the lag time into your decision on when to head to the river. Ideal level for your first time is 2.5 feet and it gets too shallow below 1.7 feet. Above 3.5 feet is too high. 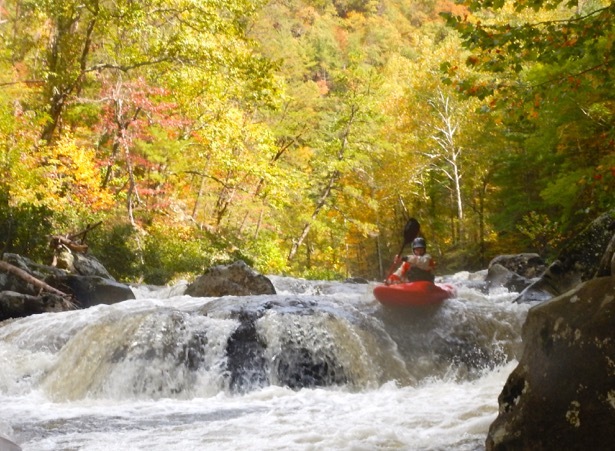 The main creeking section of the Tellico is referred to as “the ledges” as it is a series of pool drop ledges with lots of horizon lines. 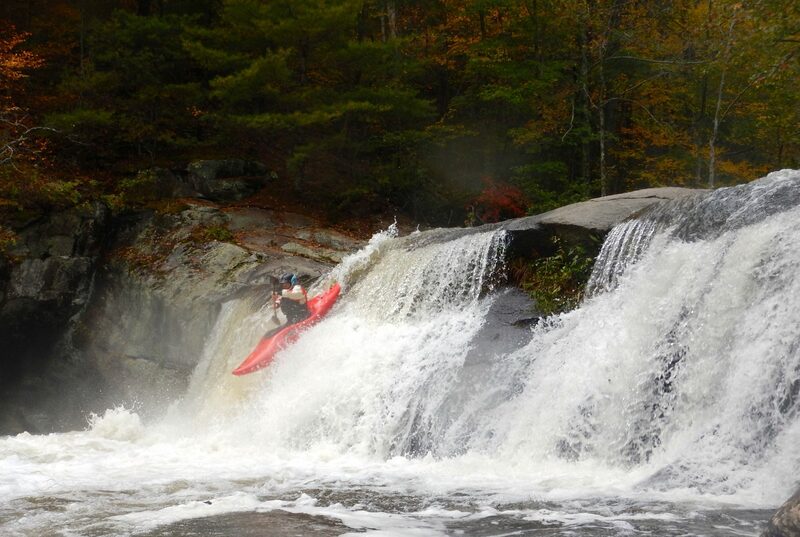 It is also the home of “Baby Falls” – a 12 foot drop that is a great introduction to waterfalls. You can climb out from the pool at the bottom and go back up and run it again and again and again and again. As there are lots of different lines you can stay amused for hours! 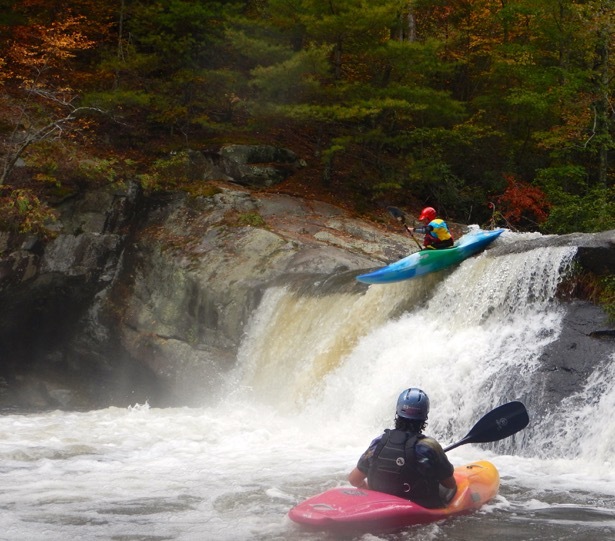 We only got 2 runs in and are hugely thankful to Casey Bryant Jones and Melissa Huckson for leading us down and supporting our first descent of the Tellico – it was super fun, really flowy and we definitely want to run it again.